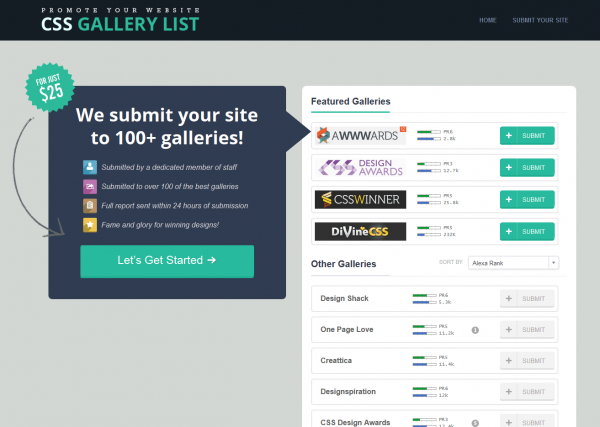 CSS Gallery List will submit your site to over 100 galleries that will feature and promote your website. The CSS Gallery List also provides a comprehensive list of the best CSS Galleries on the net for you to browse through. Whether you are looking for inspirational designs or looking to submit your site to galleries hassle-free, The CSS Gallery List is the right place to do it.